Special Note: Cube has a 50% discount for all educators interested in his products. Be sure to visit Cube3 for more details. 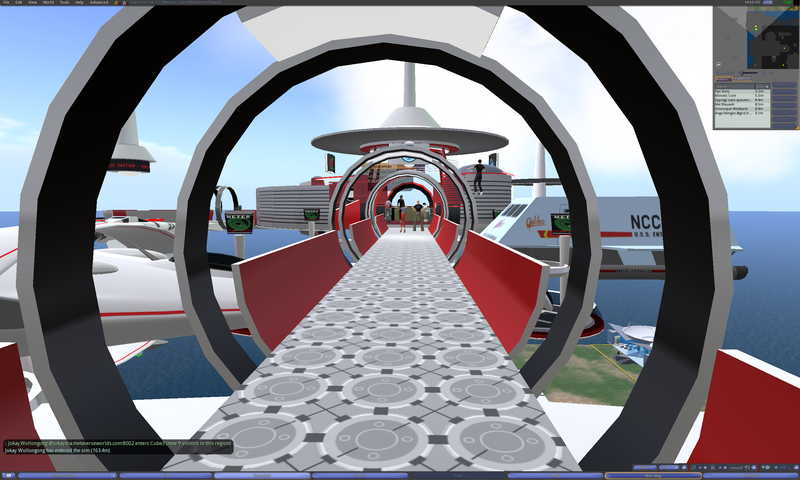 Right before the meeting, I had been testing some new Hypergate code and accidentally caused Pathlandia to reboot. My bad! Pathfinder Lester: i am providing a valuable service. yeah, that’s it. Nyx Ivory: does that make us the Crash Test Dummies? On the region “Cube3,” we’ll be met by Larry Rosenthal (Cube Inada) of Cube3.com for a guided tour of the Cube3 Virtual Worlds and Products displayed at the Cube3 and recently opened CubicSpace Sims on the Reaction Grid main grid. 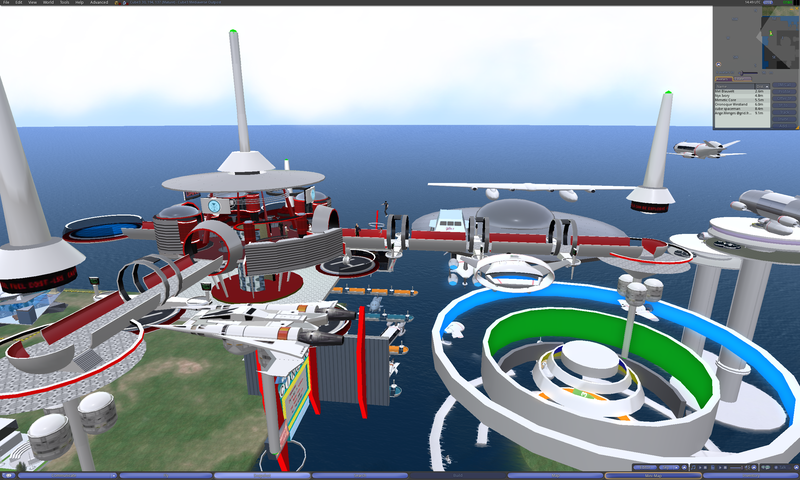 Recently Hypergrid enabled, the two sims are now open to all Hypergrid travelers and display large builds of environments that are available for entertainment usage at the showcase sims as well as license for corporate and educational usage. 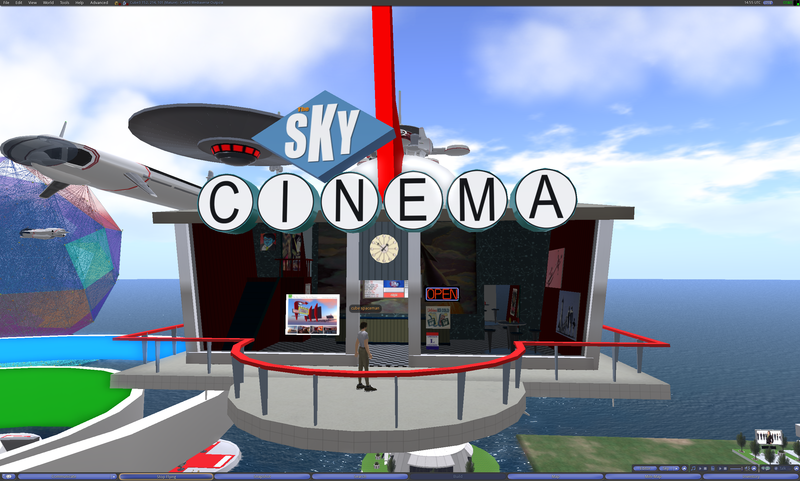 The Cube3 displays the Editors Pick Awarded “ C3 Sky Cinema Fly In Theater” as well as the “C3 Skybar Lounge” and the “Modpodz” virtual dwellings. 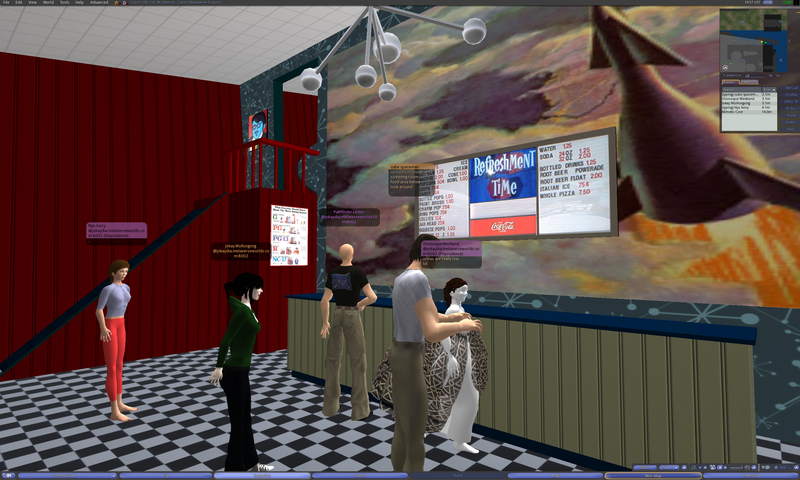 The Theater and Lounge both have 24/7 B- Movies Showing and can be visited or used for fun meet ups. 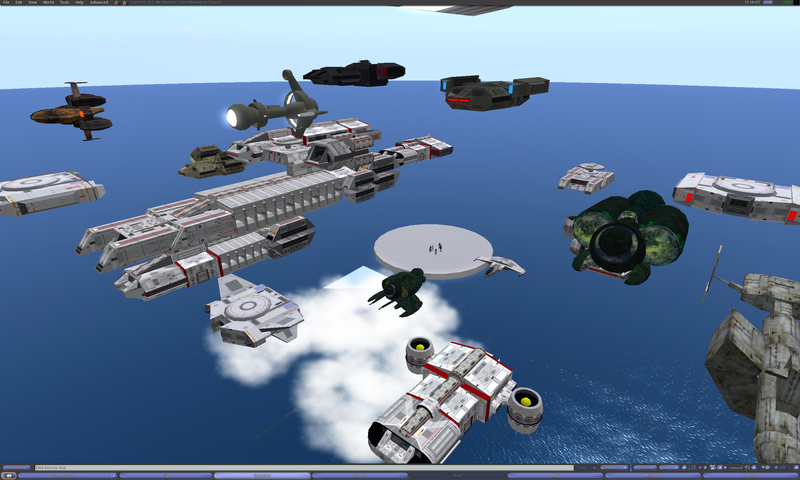 In the sky above the Cube3 sim a huge fleet of StarbaseC3 starship’s and vehicles fly one of the largest armada’s in the Open Sims. 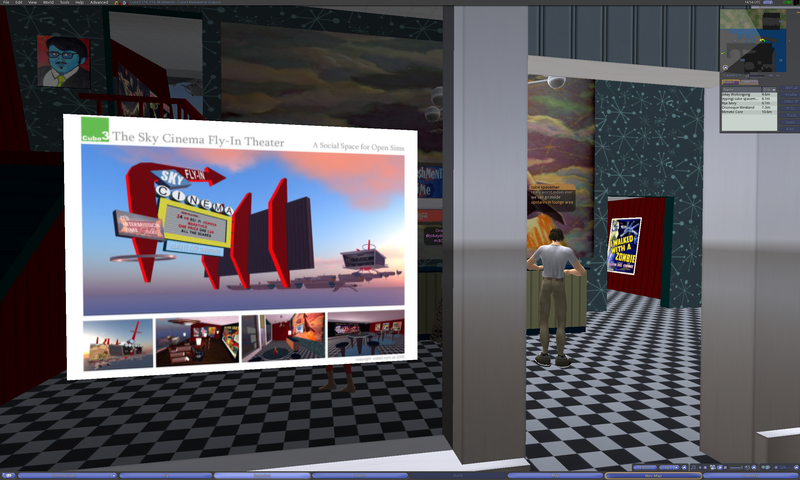 The sim also offers fun classic Sci Fi vehicle displays and a central gallery presenting images of many Cube3 virtual world projects using Second Life, Opens Sims, 3Dxplorer, Unity3d, and other 3dweb media forms over the last 15 years. 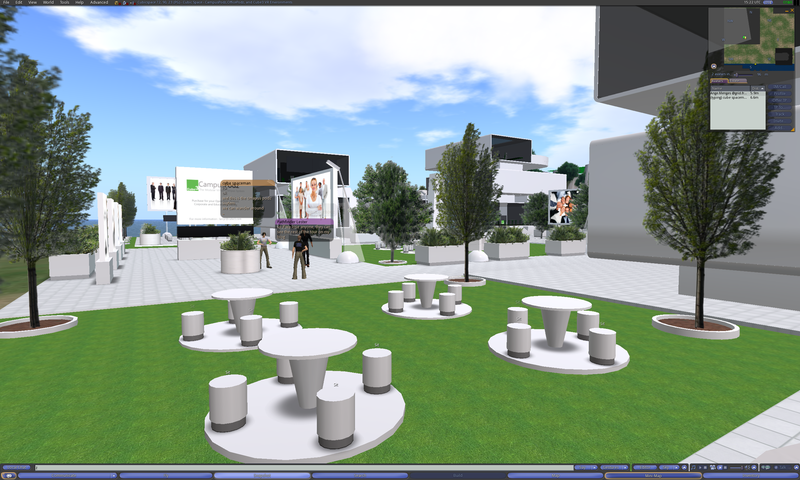 The Cubicspace sim (under construction) is open for the tour and showcases the CampusPodz Virtual Campus system created by Cube3 for educational and corporate license. Its a modular, customizable system created for those looking to set up a professionally designed build in open sims, in a fast and efficient manner. 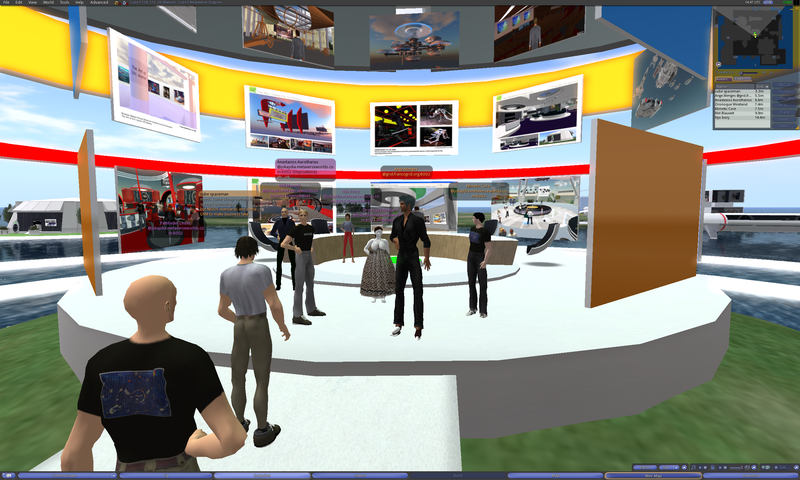 The tour will also include a fist sneak peak at the C3 Unity Center, a virtual/real conceptual design of a civic/spiritual center for the 21st century. 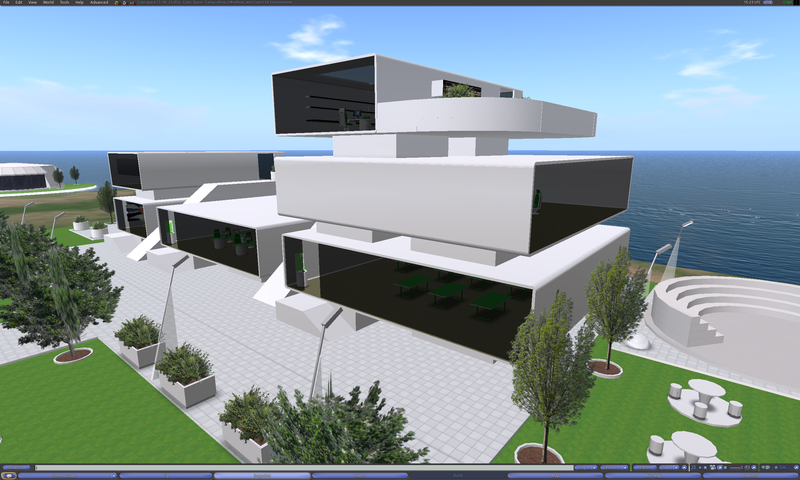 Inspired from the insanity around recent news events, the design offers a proposed design to help assist in bringing more sanity and civility to the real, and soon open virtual environments that we all will be inhabiting together in years to come. 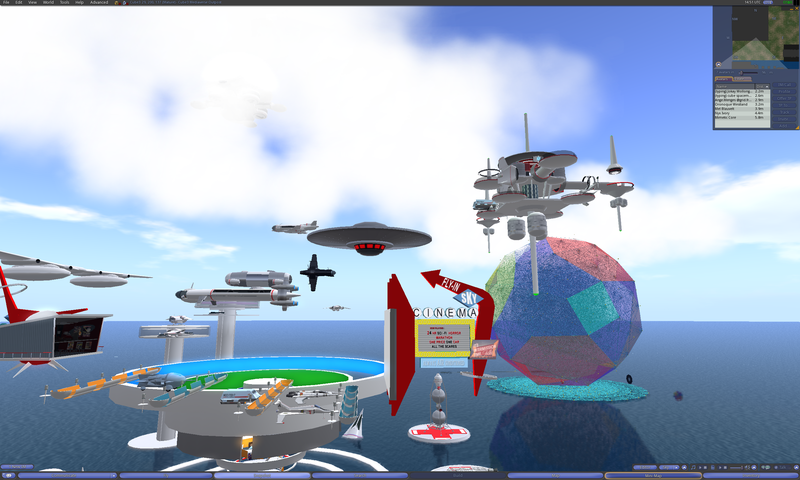 Anastasios Aurotharius: Hello, my name Anastasios and I’m performing research prior to publishing a blog on virtual worlds. My intent is to provide news and commentary so you have the information you need to be successful. 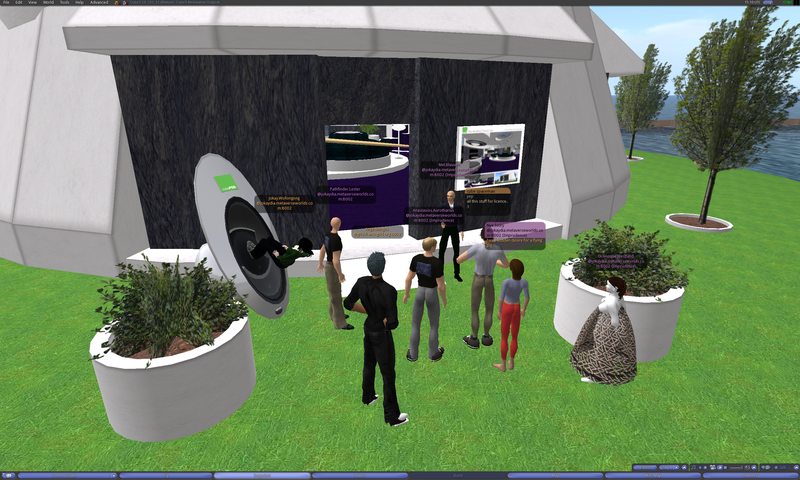 I have a background in engineering, IT and human services and over 2 years of experience with Second Life. 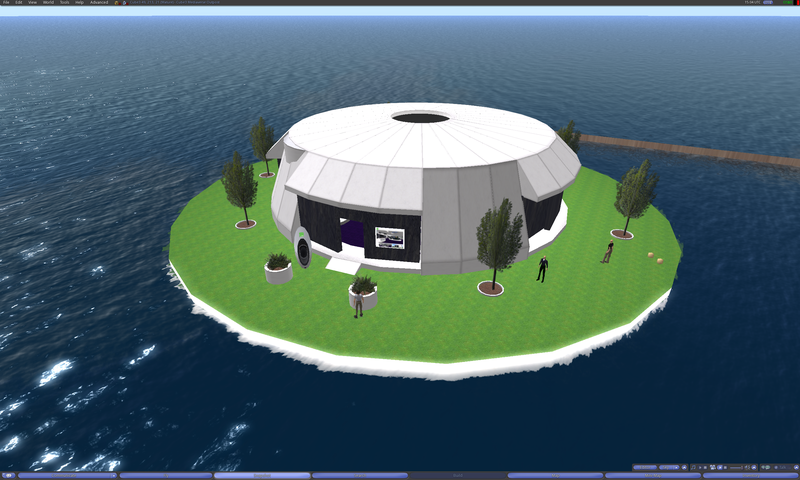 The barriers to participation in virtual worlds are high and the learning curve is steep. With my consultation I have taught people how to overcome those barriers and participate more effectively. Talvin Muircastle: Talvin Muircastle, I provide scripting services for Educators and People with Disabilities, I also run a multipurpose region called Callahania, NOW with Callahania Rules Football. (Soccer to us Yanks). Pathfinder Lester: Talvin, soccer games? that’s cool. Talvin Muircastle: Pathfinder: I provide the field and a basic ball. Rules are up to the players. cube.spaceman: ive been working in 3d and vr media for many years. Pathfinder Lester: cube is our special guest today. 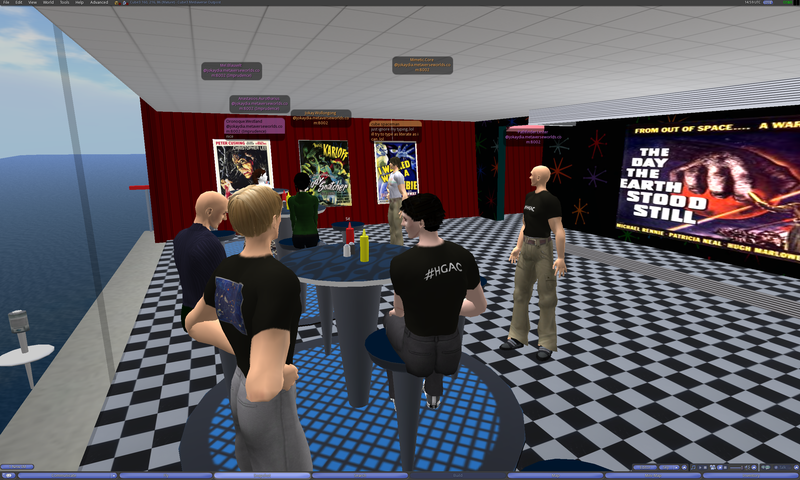 we’re going to go on a tour of his place on ReactionGrid in a few min. Pathfinder Lester: so let’s see, does anyone have any questions or topics they’d like to raise? Anastasios Aurotharius: have you had problems with people touching your junk before? Jokay Wollongong: lolz cube i was just going to say… do we have to get out the virtual metal detectors? Pathfinder Lester: but if you pay me extra, maybe we can work something out. cube.spaceman: i thought the airport was too. Pathfinder Lester: has everyone set their Home region and relogged since they first did that? 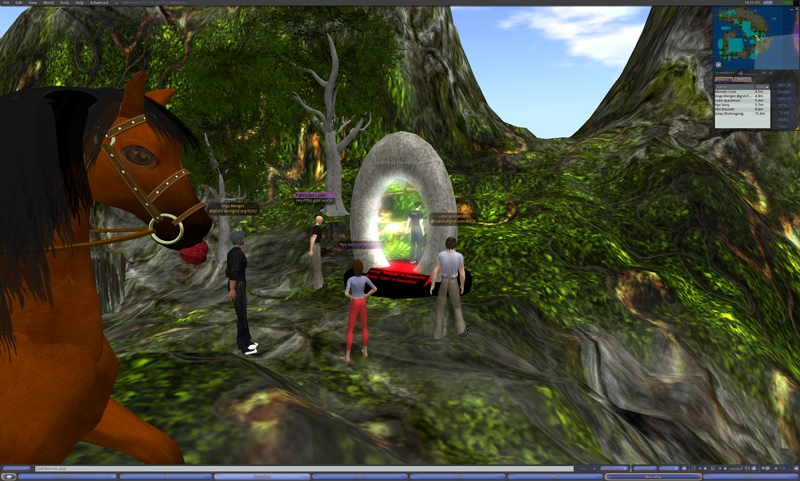 We make a Hypergrid jump from the region Pathlandia on jokaydiaGRID. And we arrive on the region Cube3 on ReactionGrid. 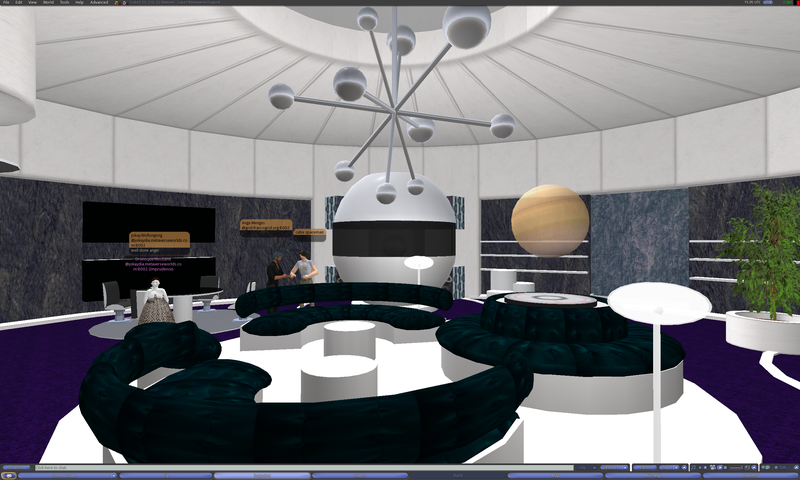 cube spaceman: some seats etc..
cube spaceman: ws very early 3d navigation stuff. 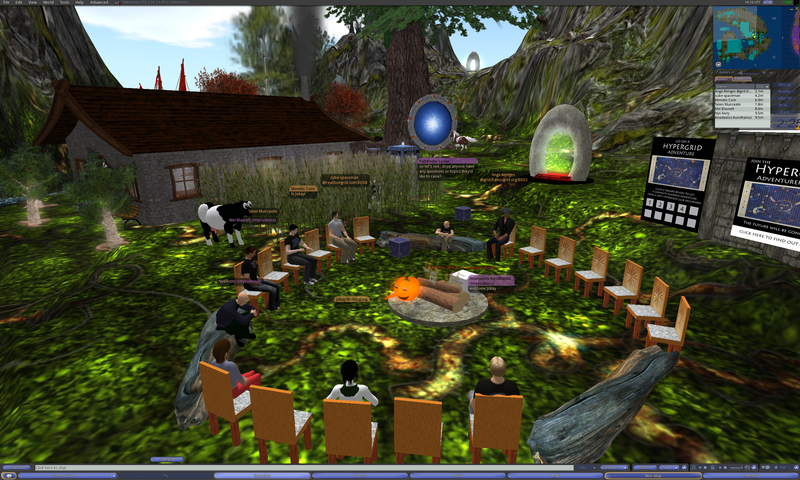 Pathfinder.Lester: you have a really long history using virtual worlds. 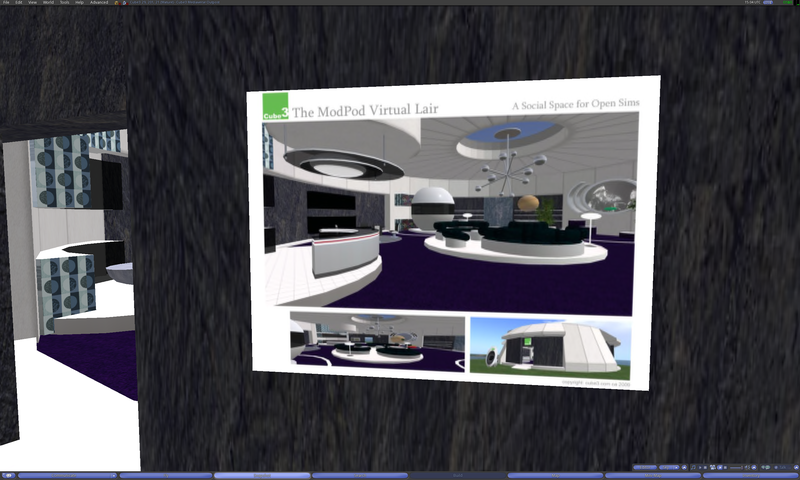 what do you think of the current state of OpenSim? what do you think we need to work most to make it really successful? cube spaceman: up to all users. 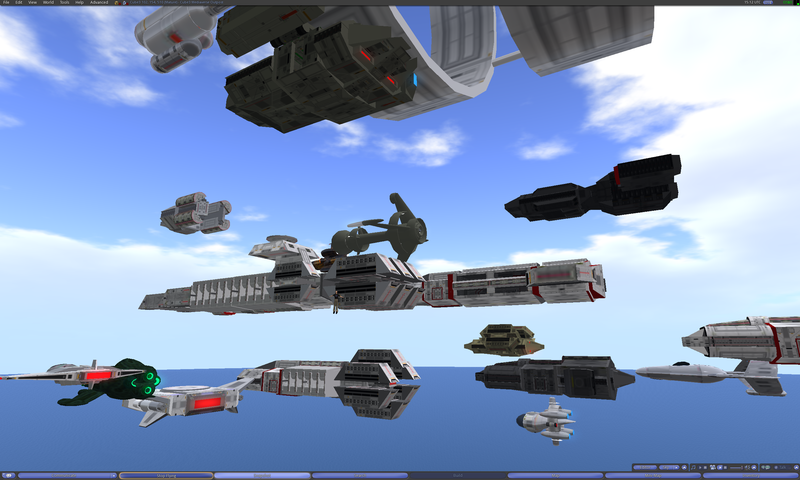 Pathfinder.Lester: there’s so much to see here! Anastasios.Aurotharius: what do you mean by “apache-out”? cube spaceman: could add more if needed. 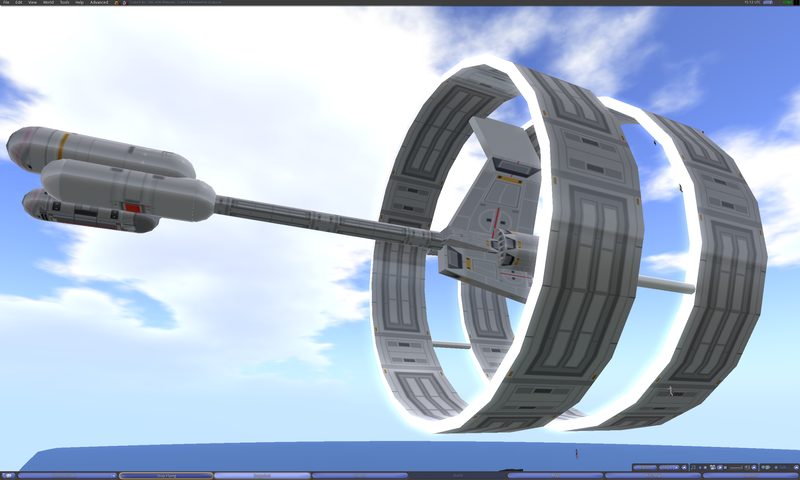 Pathfinder.Lester: “fly-in movie theater” i dig it. 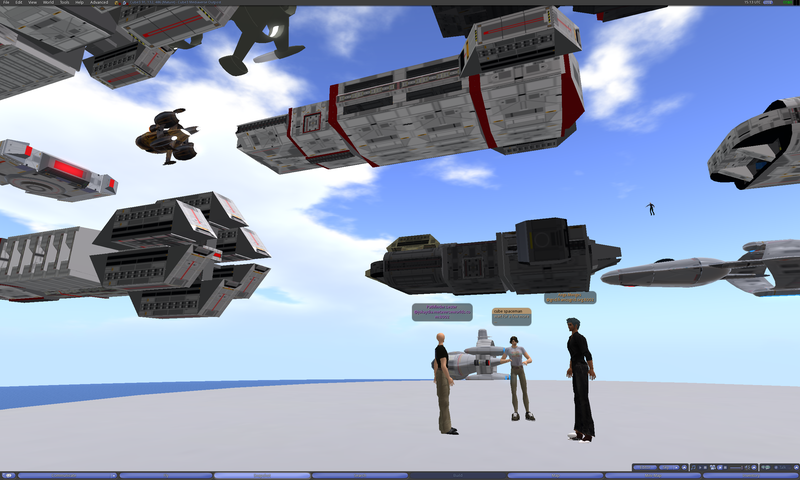 Pathfinder.Lester: yeah, there’s tons of cool stuff here. definitely come back again to explore more. 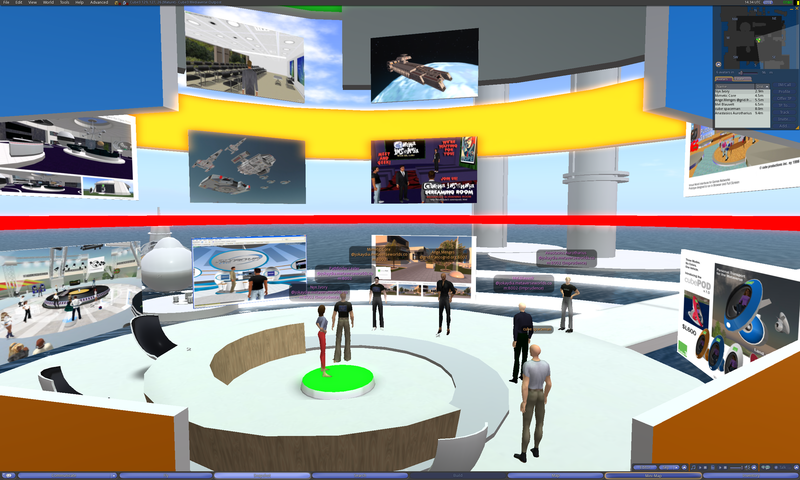 Pathfinder.Lester: a “Virtual Lair” ok, i gotta get me one of these…. Anastasios.Aurotharius: or maybe Julie, Link and Pete? cube spaceman: yep tige andrews anyone? cube spaceman: all this stuff for licence..
Pathfinder.Lester: cube, you also create general use spaces that folks can modify for things like classes and such, yes? Oronoque.Westland: you don’t need flight feathers in the OS world? Pathfinder.Lester: i see “cubicspace” is just next door to the north. we can probably just fly there. all the stuff is on the ground on cubicspace, yes? Pathfinder.Lester: see you all there! Pathfinder Lester: so you an build what you need from the modular parts? Pathfinder Lester: and in the blog transcript, folks will be able to find their way back here by following the transcript. Mel.Blauvelt: I have to go all, see you on sunday! Pathfinder Lester: thank you very much for showing us all this! cube spaceman: lets make a deal! cube spaceman: with the flihght from SL! Jokay.Wollongong: hehe… great stuff cube..
Pathfinder Lester: have a great day. and ty again Cube. Pathfinder Lester: since there’s so much to see! 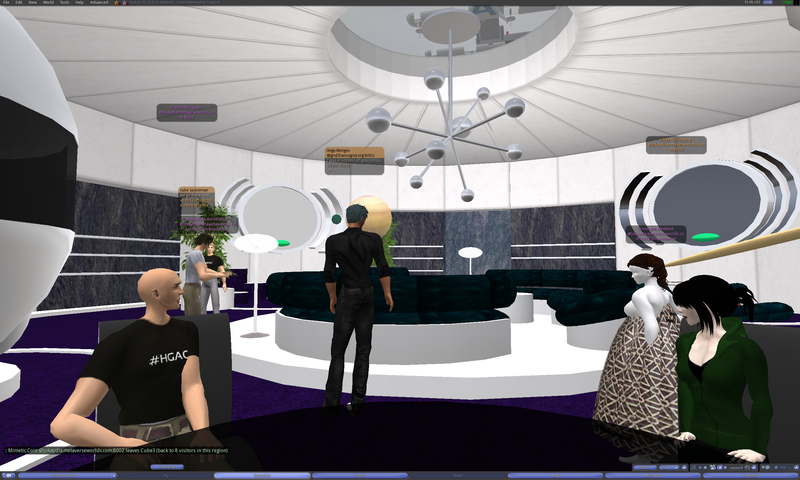 So ends another tour and meeting of the Hypergrid Adventurers Club! This entry was posted in Avatars, Education, Hypergrid Adventurers Club, OpenSim, Uncategorized, Virtual Worlds and tagged avatars, cube3, Cube3 Virtual Products, education, HyperGrid, Hypergrid Adventurers Club, jokaydiagrid, learning, metaverse, online communities, OpenSim, ReactionGrid, science fiction, spaceships, virtual worlds by John "Pathfinder" Lester. Bookmark the permalink. Hope all enjoyed the tour..
Wow, so totally Awesome. So sad that I missed this meeting as I luv me some serious starshipage. Is Cube3 open to the public? Yep, Cube3 is open to the public. Visit anytime! Yes, open to all. 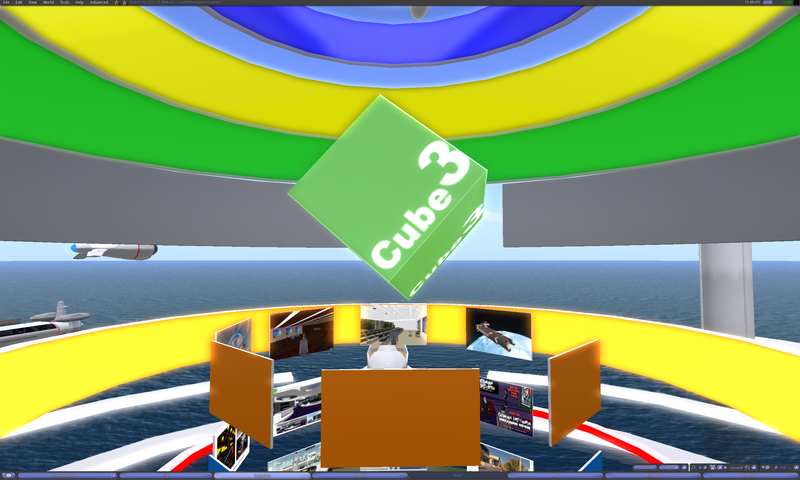 Cube3 is a design business, so we want a public showcase, and encourage visitation to our efforts. on a side note, that I think is important to the Open Sims future. Comments welcome, its an open blog forum for ideas.